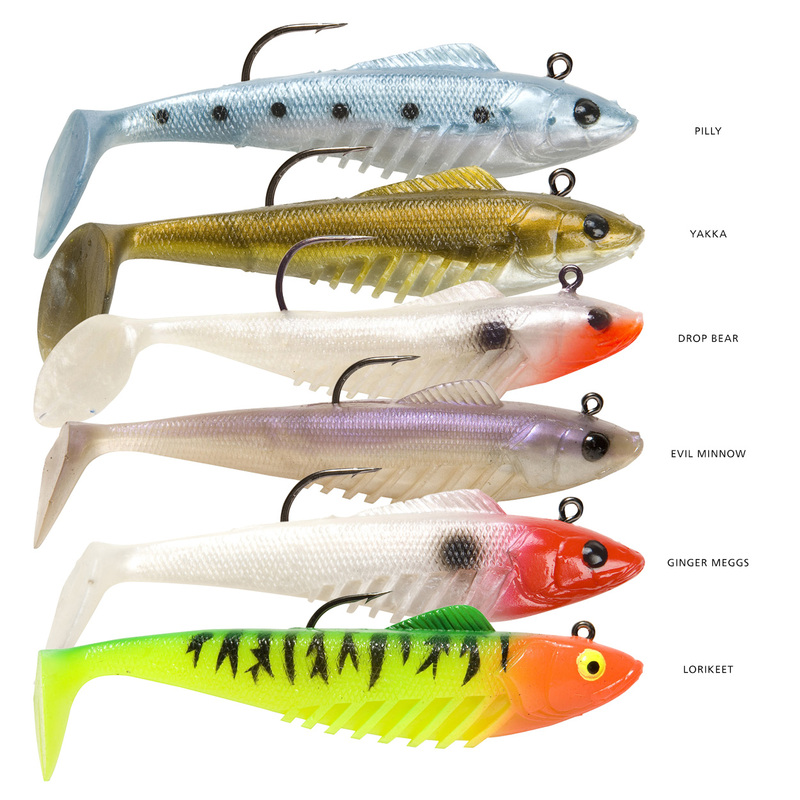 The Squidgies Slick Rig has quickly become one of Australia's top-selling soft plastic lures since its release a few years ago. Anglers love the simplicity of a pre-rigged lure they can simply tie or clip on their lines or leaders and cast or troll to catch fish! But many specialist anglers, particularly those chasing fish like barramundi in freshwater rivers and dams or tidal estuaries, wanted additional colours in the line-up, and also a selection of Slick Rigs with lighter built-in weights. Thus was born the Squidgies Pro Slick Rig Light range! A fantastic colour range, and with inserts 45% lighter than the originals! Already the number one impoundment barra lure in the land, smart anglers are constantly finding new wonders to work with these fantastic swim baits... Smear and fill them with deadly S-Factor and go for it! Often, these great lures do their best work on a straight, slow to medium-paced retrieve, but don't be afraid to experiment! Try stops and starts (burn-and-kill), lifts and drops, and slow jigging near the bottom... Each approach has its day!